The family law and bankruptcy law firm, Gum, Hillier & McCroskey, PA, is proud to announce that Howard L. Gum has been included in the 2015 Martindale-Hubbell Bar Register of Preeminent Lawyers. For over 90 years, the Bar Register has been a unique guide to the legal community’s most eminent professionals. 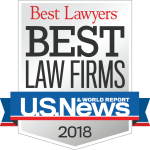 It includes only those select lawyers that have earned the highest rating in the Martindale-Hubbell Law Directory and have been designated by their colleagues as preeminent in their field. The Bar Registry of Preeminent Lawyers includes 77 areas of practice and includes over 8,900 listings. Howard is honored to be included in the Bar Registry. Also in 2014, Howard celebrates his 20th anniversary of his Martindale-Hubbell AV Preeminent Rating. The Martindale-Hubbell® Peer Review Ratings™ are an objective indicator of a lawyer’s high ethical standards and professional ability, generated from evaluations of lawyers by other members of the bar and the judiciary in the United States and Canada. Martindale-Hubbell® Peer Review Ratings™ reflect a combination of achieving a Very High General Ethical Standards rating and a Legal Ability numerical rating. A threshold number of responses is required to achieve a rating. The General Ethical Standards rating denotes adherence to professional standards of conduct and ethics, reliability, diligence and other criteria relevant to the discharge of professional responsibilities. Those lawyers who meet the “Very High” criteria of General Ethical Standards can proceed to the next step in the ratings process – Legal Ability, which include legal experience, knowledge, judgment, analytical and communications capability thresholds. Howard Gum has been practicing family law and serving clients throughout Western North Carolina since 1976. He is a North Carolina Board Certified Specialist in Family Law and a Fellow of the American Academy of Matrimonial Lawyers. He has been recognized for numerous awards based on his service and professional excellence. For more information about Howard Gum, visit his profile at: https://www.gumandhillier.com/our-firm/howard-l-gum-nc-family-law-legal-specialist. Established in 1979, Gum, Hillier & McCroskey, P.A., is an Asheville law firm specializing in complex family law and bankruptcy law matters. Our divorce and bankruptcy lawyers help Western North Carolina individuals and families create lasting resolutions to conflict and crisis. The firm’s partners are Board Certified Specialists in family law and bankruptcy law. They are mediators and arbitrators in their fields of practice. Our commitment to excellence is exemplified by our dedication to our clients, our community and through service to the legal profession. You can find the Gum, Hillier & McCroskey website online at https://gumandhillier.com.